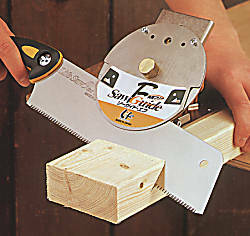 The Saw Guide is an auxiliary tool to facilitate the accurate use of handsaws in woodwork. 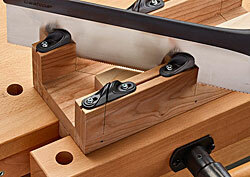 With the help of a Saw Guide, accurate use of a hand saw is as easy as the use of scissors or a knife to cut paper. 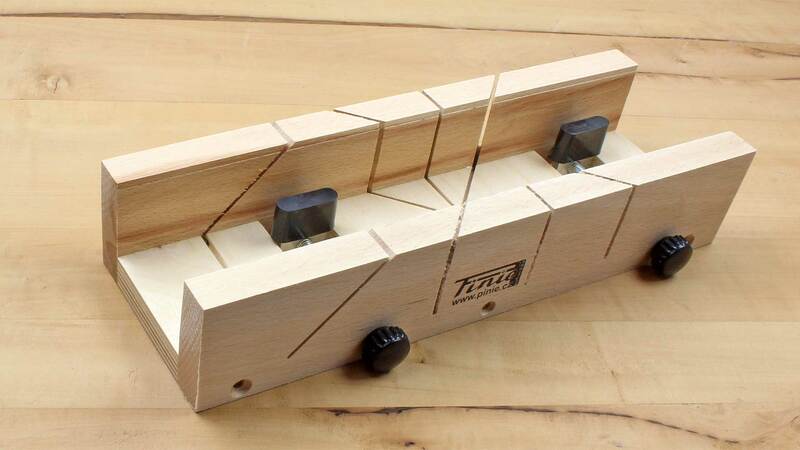 You may think that sawing straight is very difficult and that only professionals can do it, but if you used one of these Saw Guides, you could make cuts just as precise as professional carpenters and cabinetmakers do. 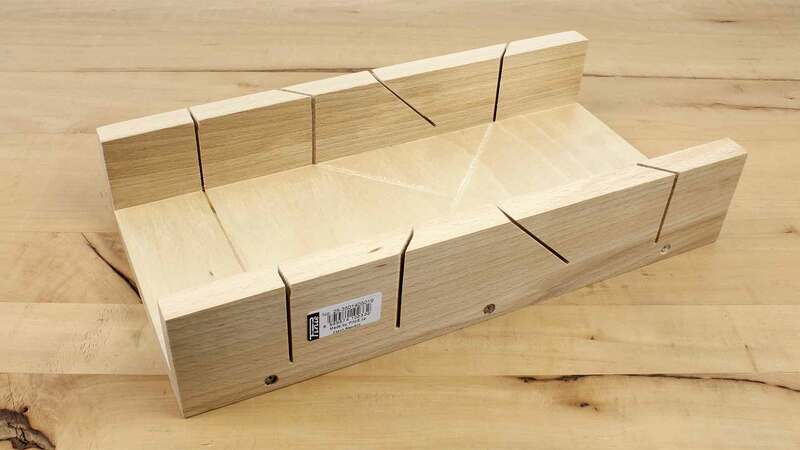 With this guide, you could easily saw straight cuts to make anything from a picture frame to practical and useful furniture of your own. 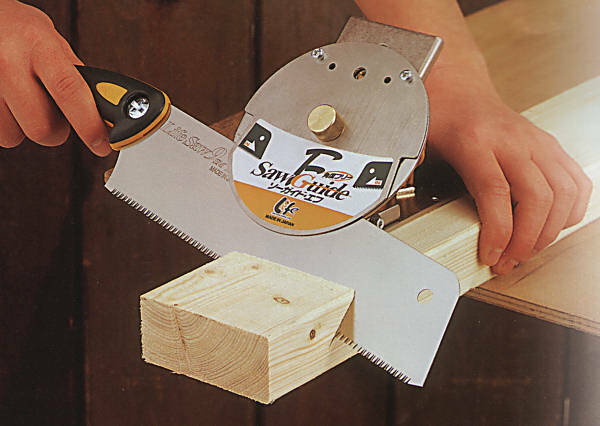 This saw guide is fully adjustable from 0° - 45° in either direction, and therefore suited for assembling, framing and dovetailing. 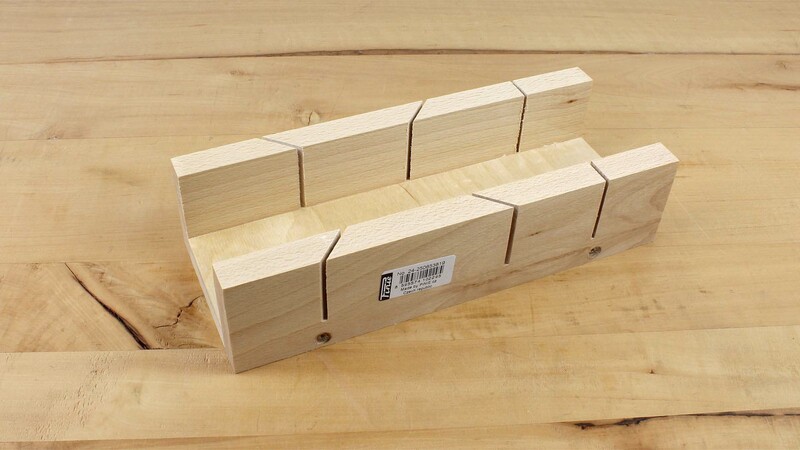 Note: If you are sawing profiled stock, it must have at least two right angles, one for the guide’s fence and one for holding it securely on the work table. 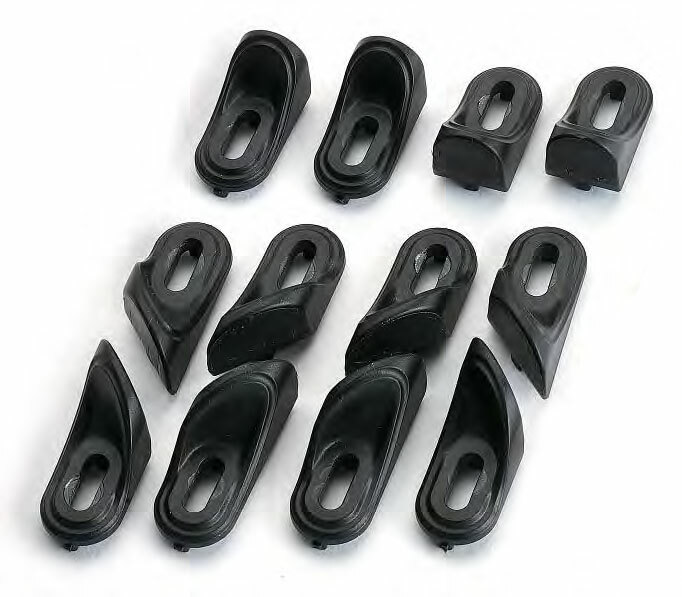 Comes with positioning and sliding fence, protractor, hex key, and saw. 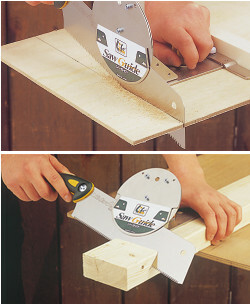 Protractor for stepless precision in measuring and laying out angles. Baseplate is green plastic, and the arm is clear acrylic with a brass locking screw. 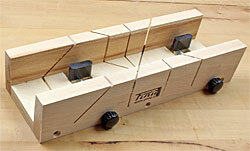 It can also be used also as a normal bevel gauge. 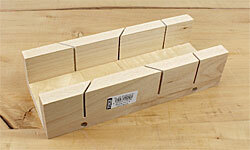 With this basic model of the Mitre Cut Guide listed above, one can precisely cut 90 degree, and 45 degree angles for mitre joints. It adapts equally well for right- and left-handed people, as one simply mounts the guide assembly on the appropriate end of the base plate. A disadvantage compared to the stepless model mentioned above is that one must take the guide apart to set the cut, but this only takes a minute or two. 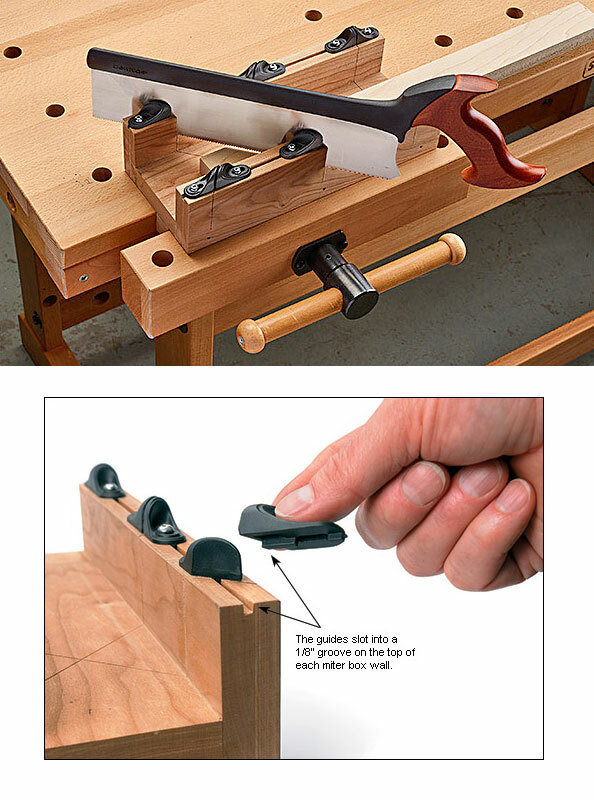 An advantage over the stepless version is that this one is so simple to use, especially when one has a number of identical cuts to make. 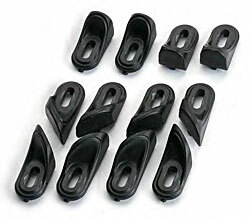 This mitre guide is delivered with a saw, includes an allen wrench for assembly and two guide fences, one for normal work and a second for longer cuts. The saw has a bent pistol grip made of soft plastic, the blade is 265 mm long. 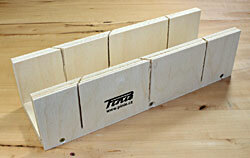 This multifunctional mitre guide is a must for any toolbox! You can adjust it to cut any angle between 90° and 0°. 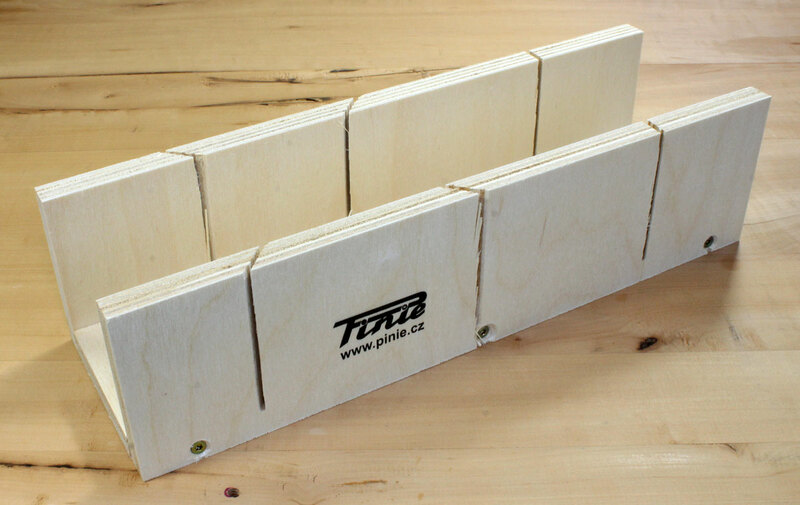 An accessory guide allows you to make accurate cuts on wide boards. The guide comes with a kataba saw with a 175 mm long blade and plastic grip for a perfect match. The guide's frame and backing plate are made of aluminum, the face plate is made of steel. 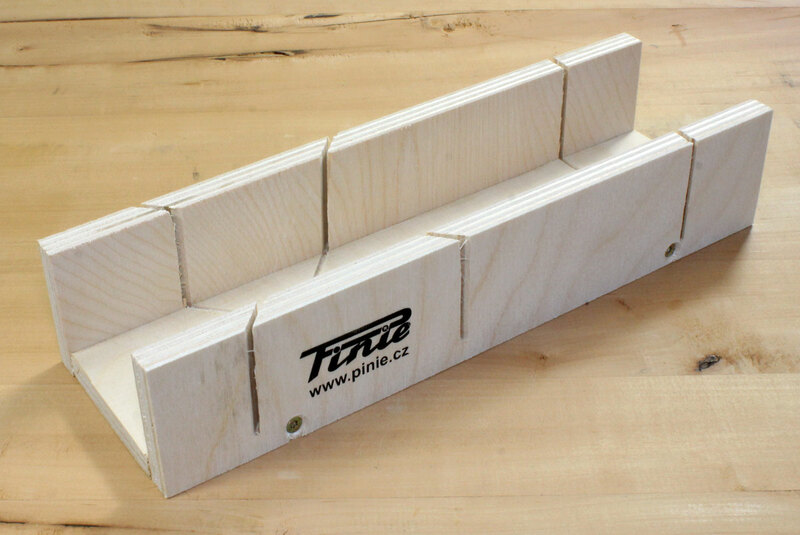 Note: For the mitre boxes below height and width are inside measurements! 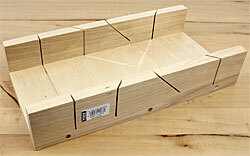 It's not easy to find a good mitre box these days – most are cheaply made and unreliable. With these saw guides, you can make your own mitre box, customized to fit the saw you use to ensure accurate cuts. Molded from Delrin, a modern bushing material, the guides are self-lubricating, allowing your saw to glide smoothly through the cut. 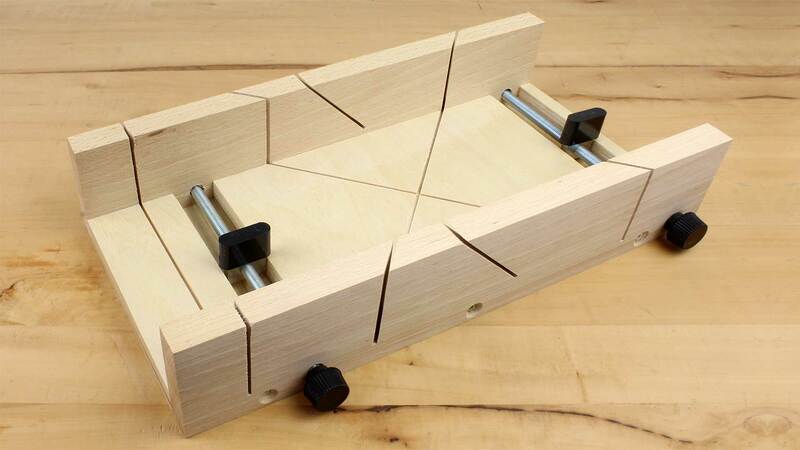 The set includes 45°, 90° and 135° guides, enough to create a single mitre box. Perhaps the best part about these guides is that they can be reused, letting you salvage them from a box that has seen better days to create a new one. The kit comes with square socket pan-head screws (#6 x 3/4 inch) for which you need a square driver bit #2 (code 326303) which you’ll find on our bit page. If you don’t want to go to this trouble you can use other screws, eg, 4 x 20 mm pan-head screws.